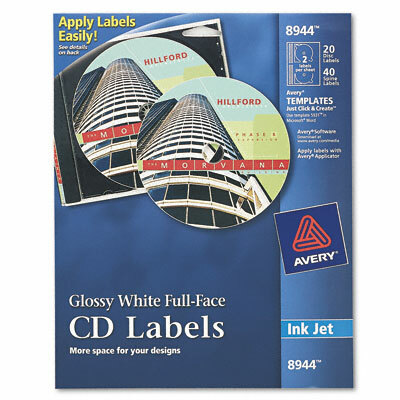 Create and print professional-looking labels. Covers 100% of the CD. Easily create and print professional-looking labels for your discs. Covers 100% of the CD, allowing more space for customized logos, graphics and text. Easy-to-hold tabs secure label for perfect centering every time.